Irene holds personal one-on-one sessions in Auckland, as well as nationally and internationally through Skype. Her clients have had emotional, mental and psychological issues that have needed resolving through empathy and understanding. She has helped them re-discover their authentic self, by uncovering and dissolving their negative and limiting beliefs. This has helped her clients gain clarity and direction and has guided them to lead more purposeful and enjoyable lives. I have had two private sessions with Irene on Skype.The first session dealt with my Fear of Heights which I have had since I was a child. We spent a little over 2 hours together. By the end of the session I felt and knew that a shift had taken place in me. I can happily say that my fear of heights has gone. How do I know this? Because Irene is very thorough and insisted that I go and visit the places where I couldn’t go trekking because of my intense fear. I did and I was filled with a sense of freedom and elation that I could do so, so easily. The second session dealt with my lack of self-esteem which also stemmed from my childhood. Once again, I felt the shift in me. I feel much lighter and am now more confident about myself and my abilities. The first time I spoke to you about the issues I was facing with my 11 year old son, was by phone. You took your time and listened to all that I had to say. Then you asked to speak to my son. This first impression is what counts - you proved to be a loving and caring person. This quality helped my son (and me) to overcome the difficulties which he was struggling with. Issues dealing with bullying, anger, and other specific problems were huge obstacles for him. Today I can say that my son is a different person. He is achieving what before was not easy for him. He is now able to solve problems easily and the happiness he feels shows clearly on his face. Yes Irene I will be eternally thankful for all the support and help you gave to my son. Ready to Discover the Infinite Power of Your Mind? Then click the button below! Irene Joseph is the Certified Instructor for the New Zealand region. Contact Irene for further info and to register for a seminar. 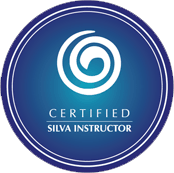 Copyright © 2019 The Silva Method NZ Ltd. All Rights Reserved.